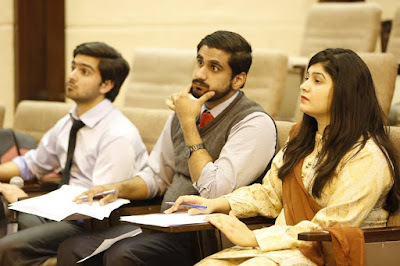 Ruhma Ihsan,Ahmed Rafay AfzalandMuhammad Youshaywere declared the champions of Urdu Parliamentary category at UOL War of Words III. Also a shoutout to the rest of the three teams; KE-B (Ayesha Mushtaq,Numra Urooj,Ali Shehbaz Baloch) broke into semis with a win over a very veteran team in quarters! Going great you guys. The other two teams comprising ofTabish Javaid,Syed Ahmad Raza,Hamza ShahabandAli Naveed Malghani,Zara Zahid,Mahrukhh Safdar broke into quarters but missed a semi spot by close margin. Note: This article was written when I was in 2nd year and is updated and published now when I am in 4th year because I couldn't complete it then but it might be of some help as it is. By: Muahmmad SalikPhase 2: Writing an Intro:- *The introduction we submitted for our topic is attached at the end as an exhibit. Not the best example but a feasible one. Introduction has 4 paragraphs: 1) Operational Definitions 2) International content on your topic- Literature review 3) National content on your topic- Literature review 4) Rationale Everything is written as a reference from the researches already done. You read a research from say Pubmed, you find something relevant to your topic, you add it in your intro and put a superscript like this “1” (by selecting the number and pressing Ctrl+Shift+=) and then you move on and repeat the same till you finish the 500 words intro. Let’s discuss all the headings one by one. By Muhammad Salik We all have to do Research in Med School. Some are excited for it while others dread it. Whichever one you must be, a Guide to Medical Research always comes in handy to get the best of it without going through unnecessary trouble. KEDS continues the winning streak at NGS declamation competition. Tahreem Raza and M. Anas Tahir win the team trophy. 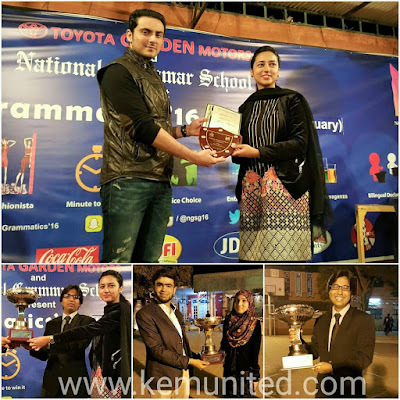 Tahreem Raza clinches 1st position in English Category at her debut. (And also becomes the first ever kemcolian declamation speaker to have received the winning shield by Bilal Lashari himself :D ) Anas Tahir bags 3rd position in Urdu category with his thrilling humorous speech. A big round of applause for both Awab Hussain and Hafsa Ishfaq for getting consolation prizes at their debut as a team.